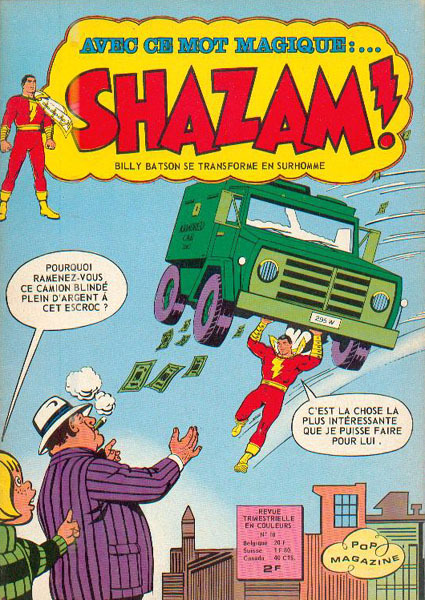 Série VF : Shazam ! → Shazam! #5 (2) (09/73) The World's Toughest Guy! → Shazam! #6 (1) (10/73) Better Late Than Never! → Shazam! #6 (2) (10/73) Dexter Knox And His Electric Grandmother! → Shazam! #7 (2) (11/73) What's In A Name? Doomsday! → Shazam! #9 (1) (01/74) Worms Of The World, Unite! → Shazam! 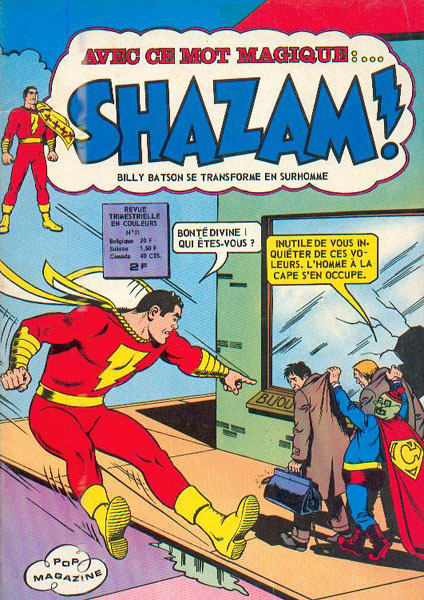 #9 (2) (01/74) Captain Marvel, Jr. - The Mystery Of The Missing Newsstand! → Shazam! 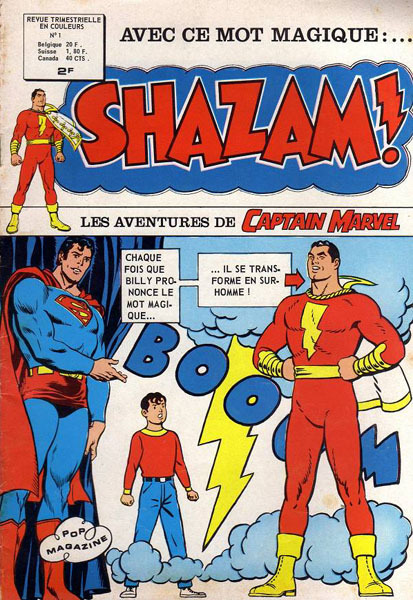 #9 (3) (01/74) The Day Captain Marvel Went Ape! → Shazam! #10 (2) (02/74) Mary Marvel - The Thanksgiving Thieves! → Shazam! #10 (1) (02/74) Invasion Of The Salad Men! → Shazam! #11 (1) (03/74) The World's Mightiest Dessert! → Shazam! 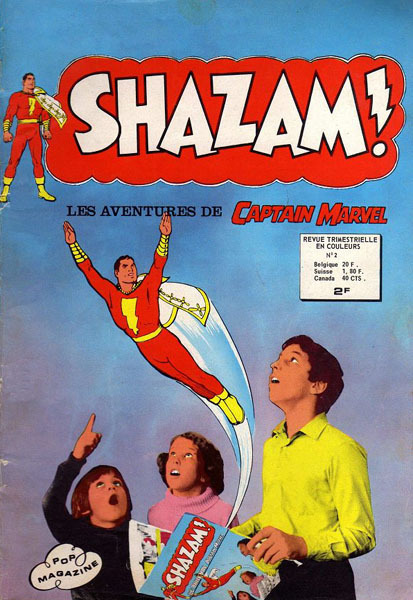 #11 (3) (03/74) Marvel Family - The Year Without A Christmas! → Shazam! 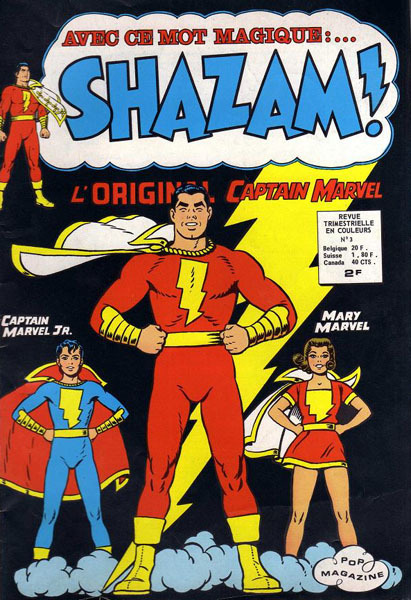 #15 (8) (11/74) Captain Marvel, Jr. - The Man In The Paper Armor!